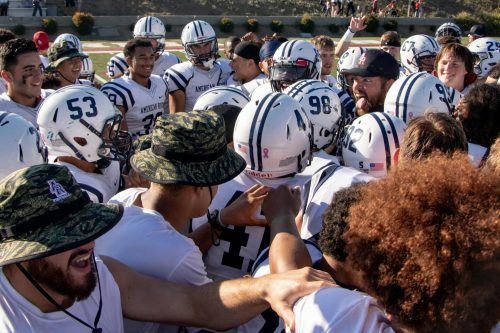 The American River College football team reeled in another win against Sierra College with a score of 22-7 on Oct 20. Running back Daniel Wright Jr.’s 81-yard touchdown run started things off for the Beavers to lead 7-0 in the first quarter. As the Beavers made Sierra punt, they traveled downfield for 62 yards and kicker Jesus Gonzales made a 32-yard field goal making the score 10-0. Sierra College wide receiver Hassani Zackery caught a 1-yard pass from running back Ryan Graham. Beavers quarterback Marco Baldacchino said they played as a better team this week and Sierra ran a good defense. Wright’s 11-yard touchdown run increased ARC’s lead to 16-7 after the kicker failed to convert the extra point. ARC went into halftime leading 19-7 after kicker Jesus Gonzalez converted a 40-yard field goal. Gonzales ended the game with two 40-yard fields goals, leaving the score 22-7. Head Coach Jon Osterhout explained that the team needs to score touchdowns instead of field goals inside the red zone. The defense only allowed seven points during the game, and according to Lou Baiz, the assistant head coach and defensive coordinator for the Beavers, the team showed great effort and averaged over 540 yards on the last four games on their win streak. “We had a challenge this game, we made a bunch of big plays, and we limited our minimal mistakes that have cost us some big plays in the last few games,” Baiz said. The Beavers’ next game will be at Butte College on Oct. 27. 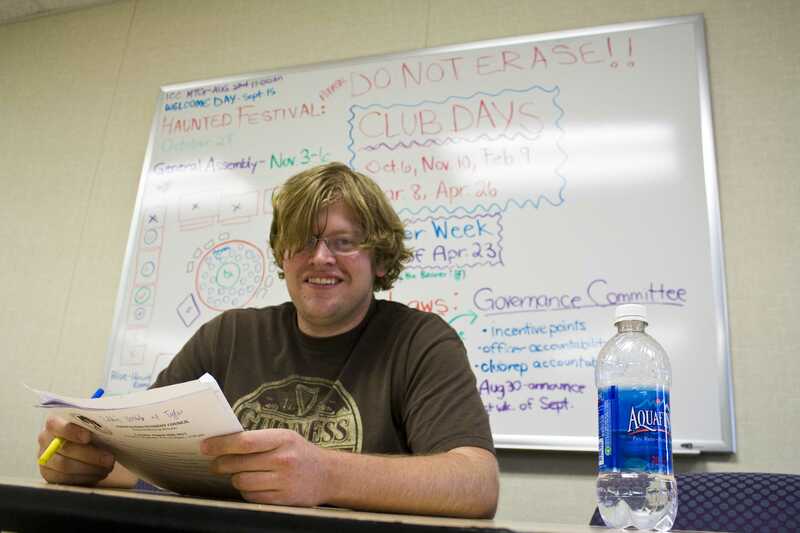 Breawna is a first semester staff writer on the Current. 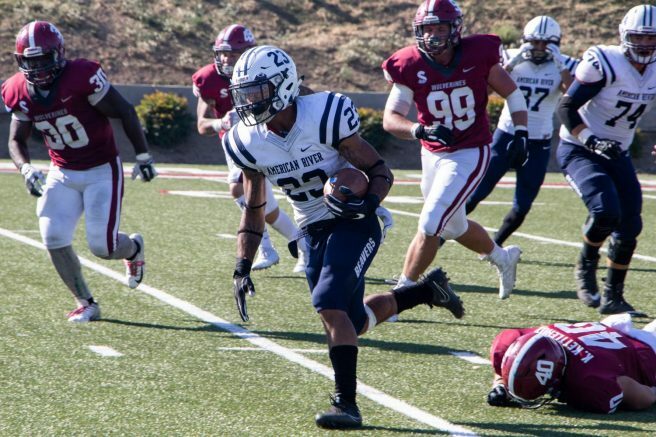 Be the first to comment on "Beavers football team take on another win against Sierra 22-7"